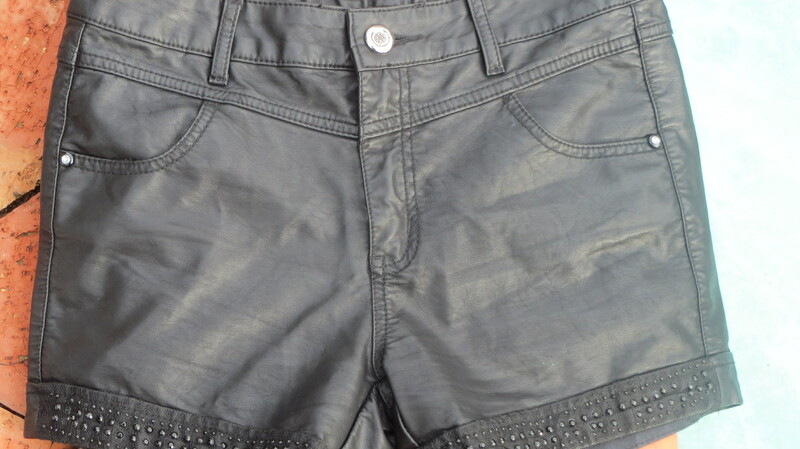 Check out these embellished leather shorts I scored in the Balnarring op shop for $3! I’m going to strut around in these babies at the first hint of warmth in the air, but not before a good body buff and layer of fake tan! 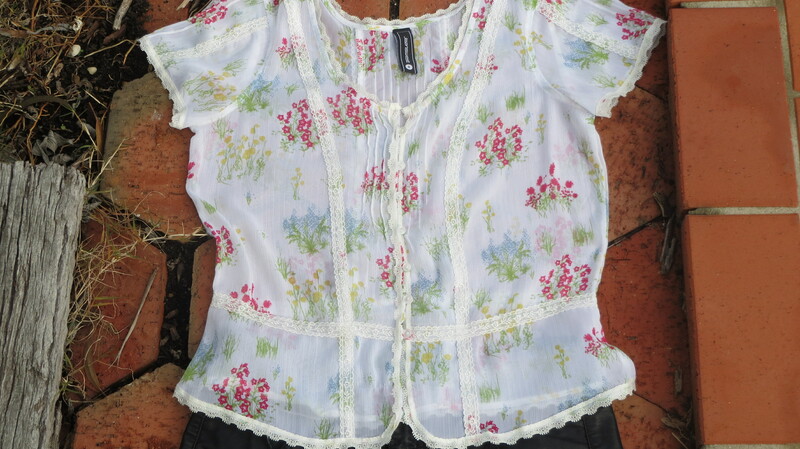 For a feminine edge I’ll pair them with this sheer floral & lace top ($3 from a Salvation Army thrift shop) . . .
And cap it off with these delicious bright green suede babies . . .
That brings the total cost of this hot little ensemble to $26! Now that’s some serious bargain hunting. I have a feeling leather shorts are going to be very big news for summer and I trawled the internet to find you a bargain. But first here’s a look at how some of the hottest celebrities on the planet are wearing them. Supermodel & actor Rosie Huntington-Whiteley simplifies in a silk singlet and slouchy boots. Beyonce and hubby Jay-Z. And in case you’re wondering, I picked out my green shoes and styled my outfit before I searched the internet. Aussie supermodel Miranda Kerr winterises her leather shorts. Trendsetting fashionista’s (l-r) Aussie Rachel Bilson, Olivia Palermo and J-Lo. And now for some internet bargains . . . These leather shorts with stud panels are currently listed on ASOS for $34. For a simpler style ASOS has these on sale for $43. Found these Topshop shorts for $49 on the Polyvore site, and they were the cheapest I could see. But if you hang in there for a few months girls I’m sure there’ll be an influx of bargain copies in the stores. What will you wear your leather shorts with? And now you’re Looking Good Girls! “Wait for the Lord; be strong and take heart and wait for the Lord.” Psalm 27:14. LOVE THE SHOES, ESPECIALLY THE MINT COLOR! The short and the shoes are lovely, Beautiful pictures. Thanks for all your support Kimberly.